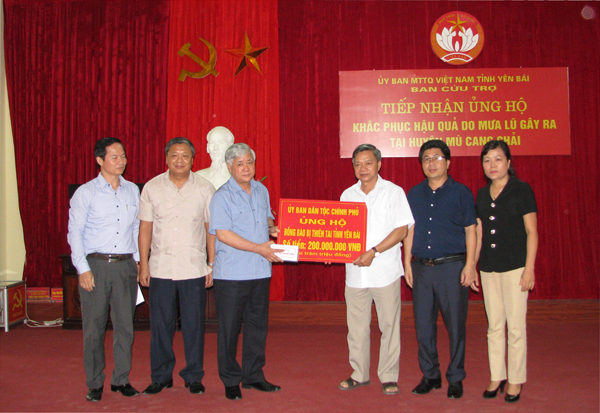 The 12th National Congress of the Vietnam Communist Party. The Vietnamese Legislative Election course XIV was succeeded; in 496 voted congressmen, 86 congressmen are literally minority individuals, occupied 17.3%, the highest percentage ever recorded. The 70th ethnic minority agencies traditional day Anniversary was successfully launched; many leaders, former leaders of the Party and Government attended; Tran Dai Quang, the President awarded the First Independence Medal to the Committee for Ethnic Minority Affairs and had a important speech. 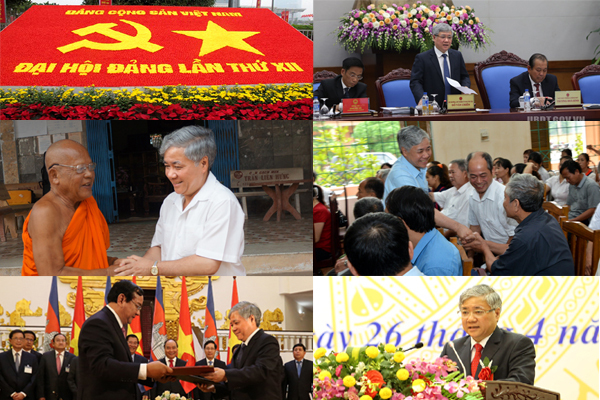 The Ethnic Minority work Summary Ceremony term 2011-2015 and deploy tasks term 2016-2020 was successfully launched; the Deputy Prime Minister, now become the Prime Minister Nguyen Xuan Phuc attended, guided and had a crucial conclusion. The government enacted the major Resolution about promoting the development of literally minority human resources in the term 2016-2020, orienting to 2030; the Prime Minister decided to enact many important policies supporting the socio-economic development in the ethnic minority and mountainous areas in the term 2016-2020. The Conference summarizing 5 years executing the Decree No. 05/2011/ND-CP on January 14th, 2011 of the Government about the ethnic minority work; The Deputy Standing Prime Minister Truong Hoa Binh presided and had a crucial conclusion (Announcement No. 440/TB-VPCP on December 28th, 2016). The Commedation Ceremony for the outstandingly excellent ethnic minority pupil, univeristy students in 2016 was successfully launched; on this occasion, Tran Dai Quang, the President met, advised, encouraged and gave presents to 137 outstandingly excellent ethnic minority pupil, univeristy students in 2016. The Prime Minister decided to establish the Vietnam Academy for Ethnic Minorities, the infrastructure for conducting researches, teaching the undergraduate and postgraduate programs; cultivating the ethnic knowledge for cadres, officials in the political system. 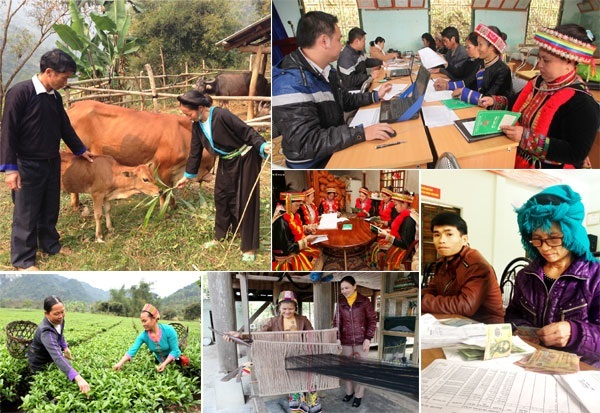 The Committee for Ethnic Minority Affairs coordinated with the General Statistics Office of Vietnam and announced the socio-economic condition of 53 ethnic minority groups. 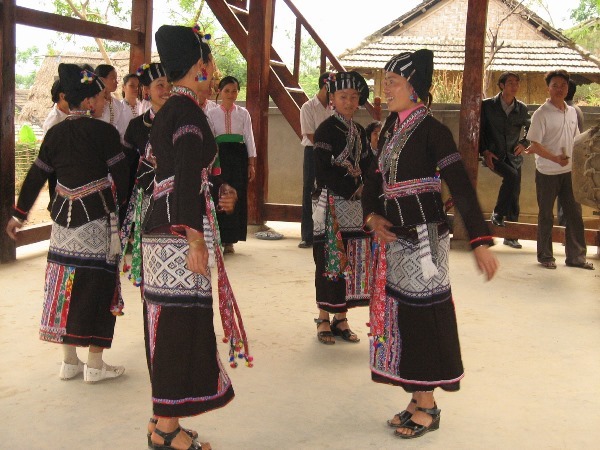 For the first time, Vietnam has statistics on every ethnic groups. The Minister, Chairman of The Committee for Ethnic Minority Affairs accompanied with the President Tran Dai Quang consulted the President of Republic of Ireland; accompanied with the Prime Minister Nguyen Xuan Phuc consulted the Prime Minister of Cambodia and signed the Minute of Agreement with the Cambodian Ministry of Rituals and Religion about the ethnic minority work. Address: 80 Phan Dinh Phung - Ha Noi.